Mark McAuley is an articling student in Gowling WLG's Toronto office. He completed the JD program at Western University's Faculty of Law. Prior to law school, Mark completed a Bachelor's degree in psychology at Western University. He also enjoyed a career as a musician performing with the Juno-nominated group The McAuley Boys, and individually as Mac Graham. Mark was also the creative lead on the development of a music collaboration mobile application and continues to have a strong interest in the startup sector. 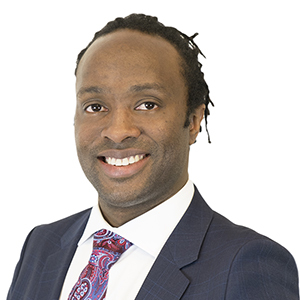 While completing his JD, Mark serves as vice-president, academic affairs of Western Law's Student Legal Society and as president of the Black Law Students Association. Mark will focus his articling term with an intensive rotation in the Business Law Department. 20 September 2018 The U.S. BUILD Act: A new chapter in international development finance?